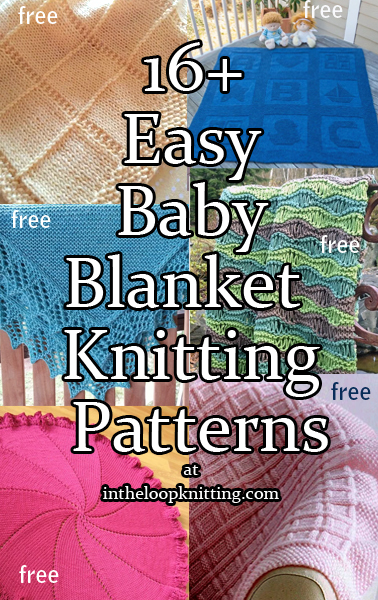 These baby blankets feature cable patterns, from the easy to the complex, for an instant heirloom. 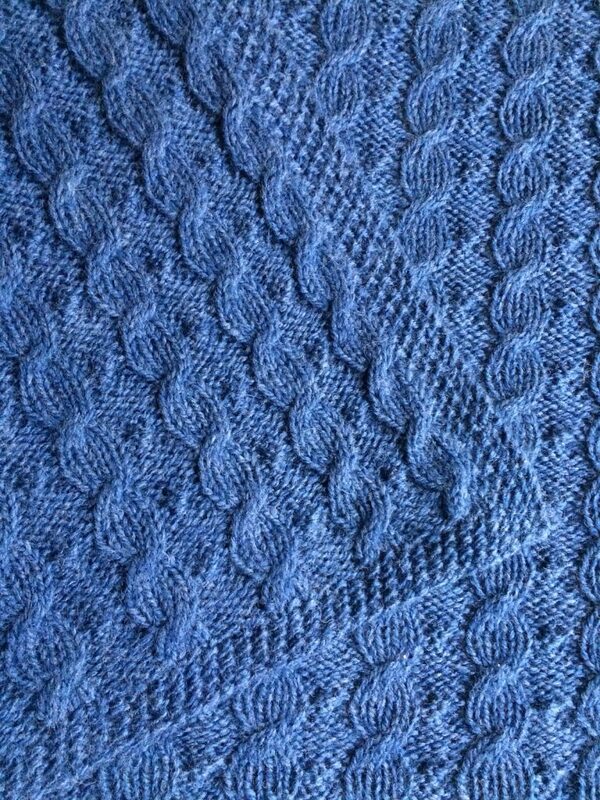 Braided cables alternating with a pretty lace pattern. Designed by Stephanie Ament. 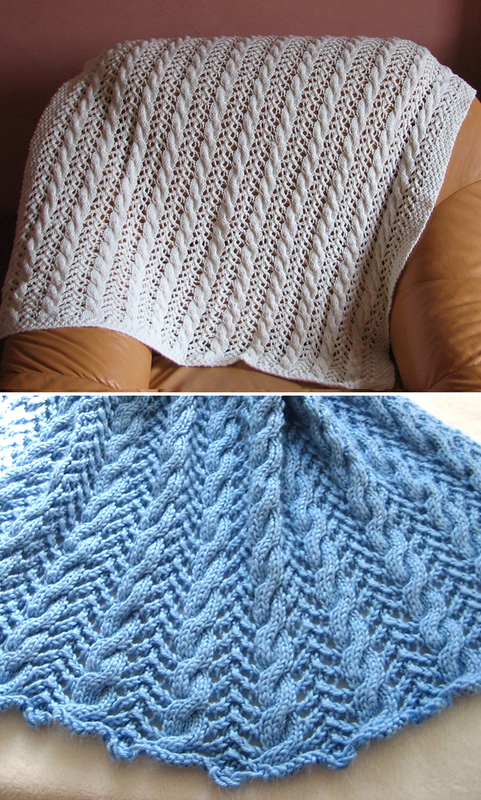 Pictured projects by ldjolos and greenrider382 who added a picot edge. 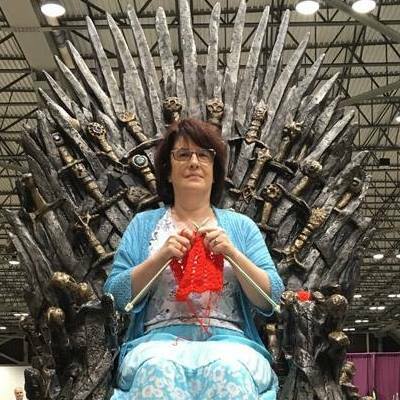 Note: In looking over the pattern, it seems that the designer uses yf (yarn forward) to denote what I am more used to seeing as "yarnover". Worsted weight yarn. 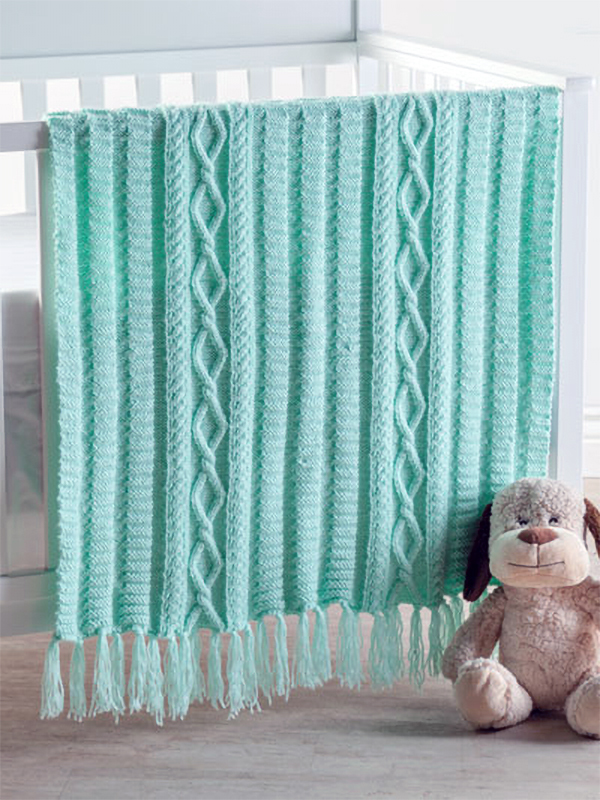 Stacylynn Cottle designed this adorable blanket with cable and bobble bunnies to grow with the child from crib to toddler bed and possibly beyond. 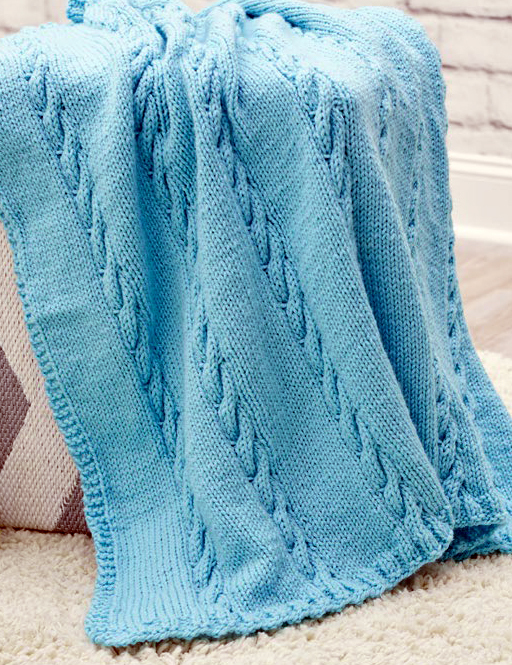 This easy cabled afghan is just garter stitch and stockinette with cables every 8th row. 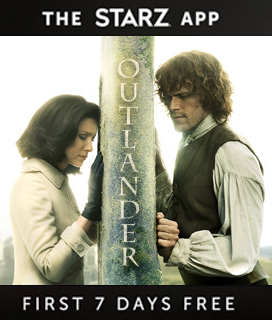 Designed by Linda S. Smith for Red Heart. 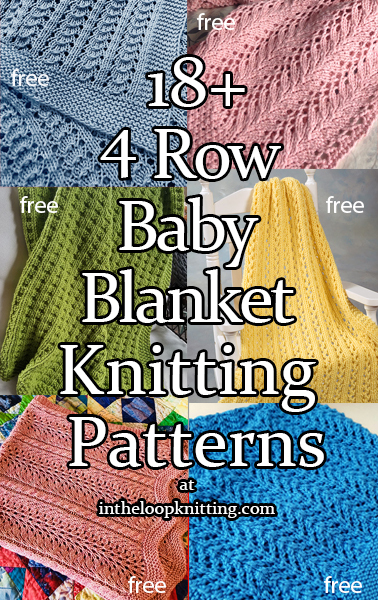 This easy baby blanket is knit with an 8 row cable pattern on a stockinette background. Worsted weight yarn. Designed by Nancy J Thomas for Red Heart. 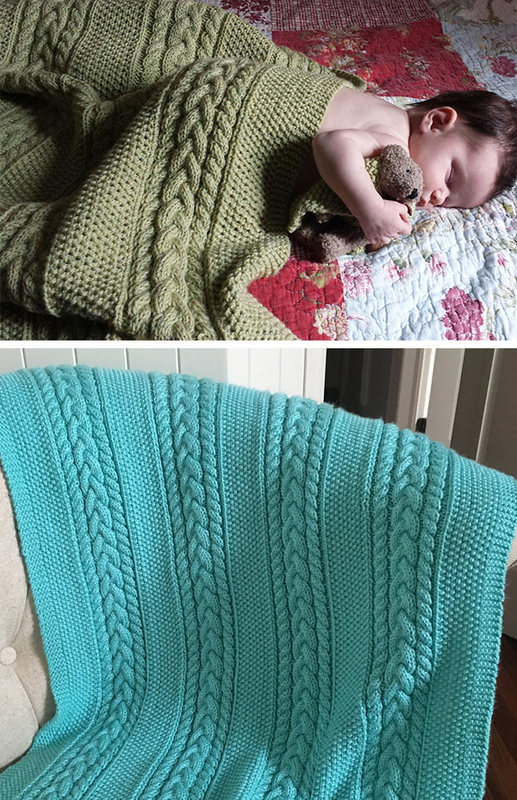 Baby blanket knit with garter stitch and different cable designs. 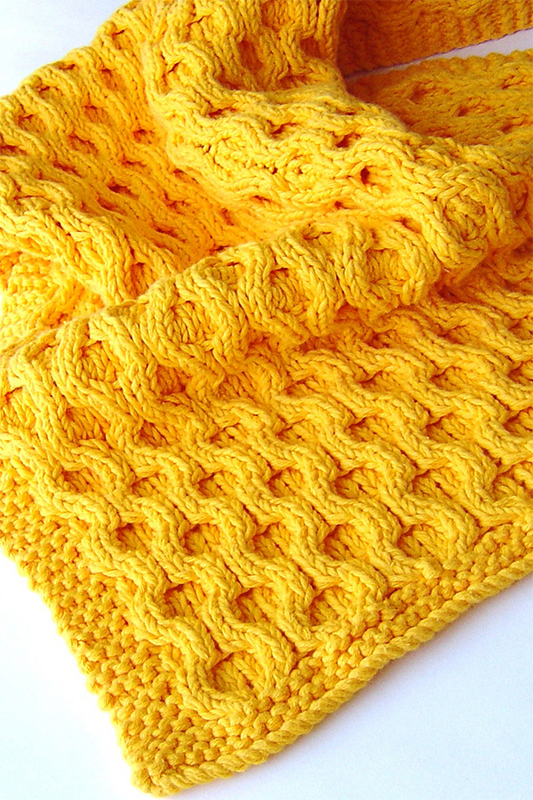 Size: 32"W x 38 1/2"L. DK weight yarn. 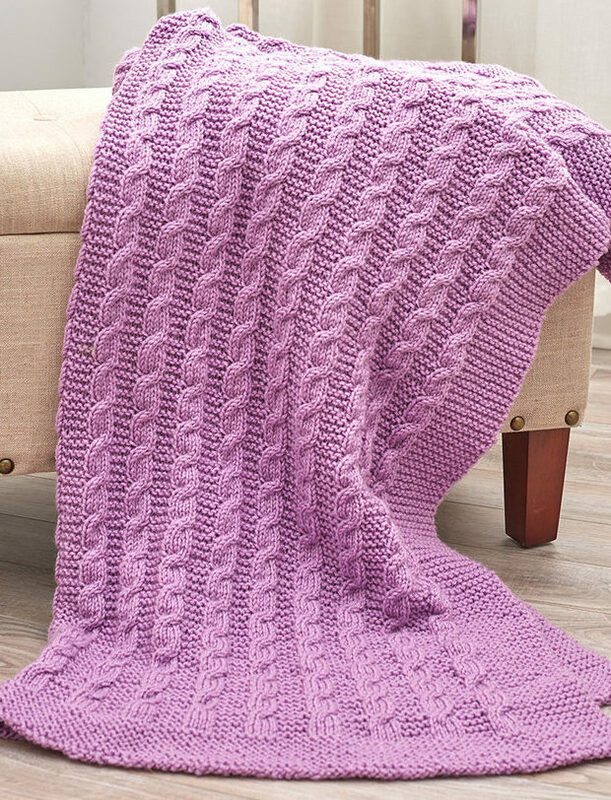 This blanket features one of my favorite cable patterns, the allover honeycomb cable. 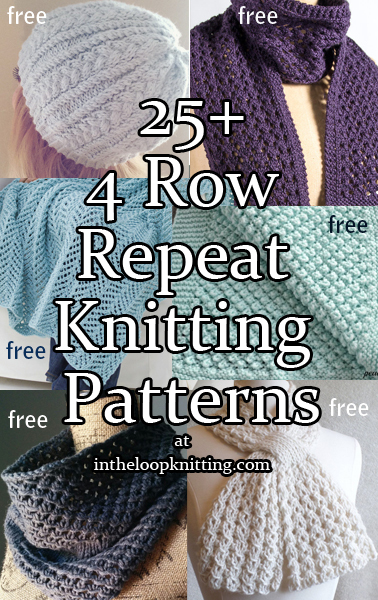 I believe this is an 8 row repeat. The designer says this is suitable for improving beginners and I also think it's a great way to learn cables. Designed by Caroline Brooke. 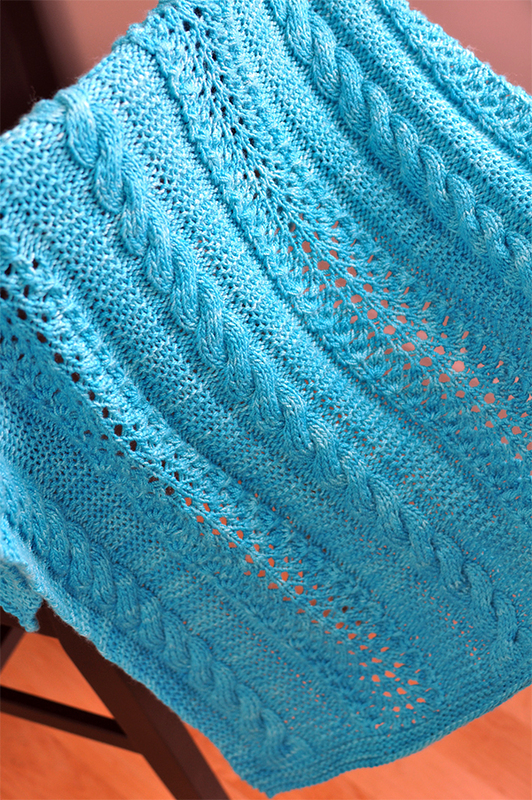 Knit with 2 strands of DK yarn held together. 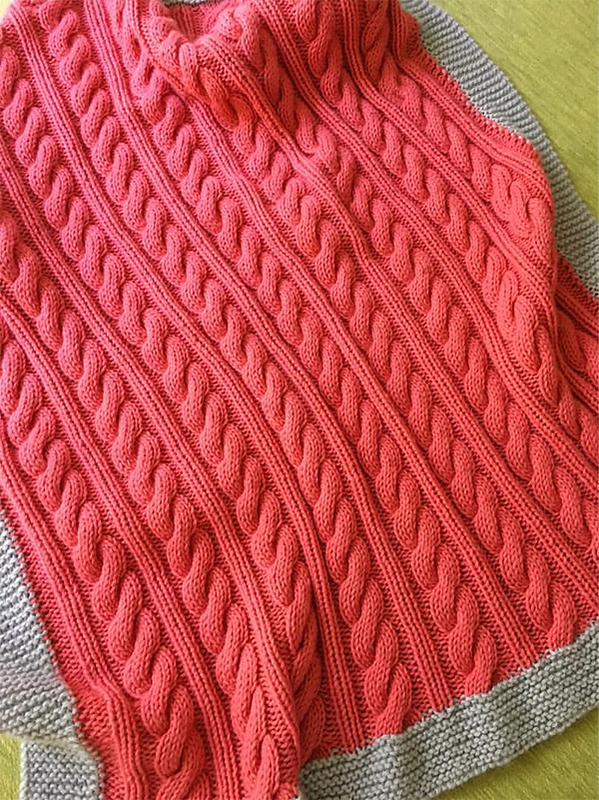 I believe this blanket is an 8 row repeat of alternating braided cable and purl ridged stockinette. 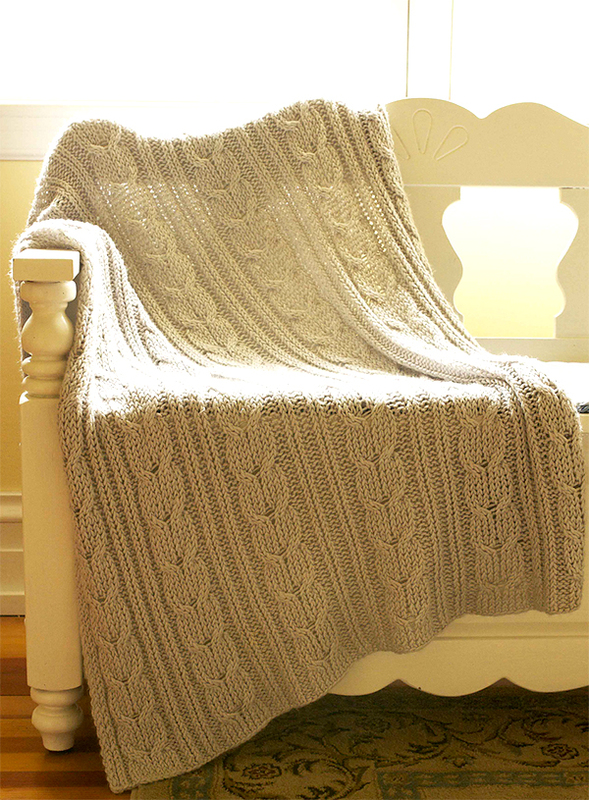 3 sizes Large - Afghan or Throw/ crib blanket: 45” x 62” (114cms x 157cms). 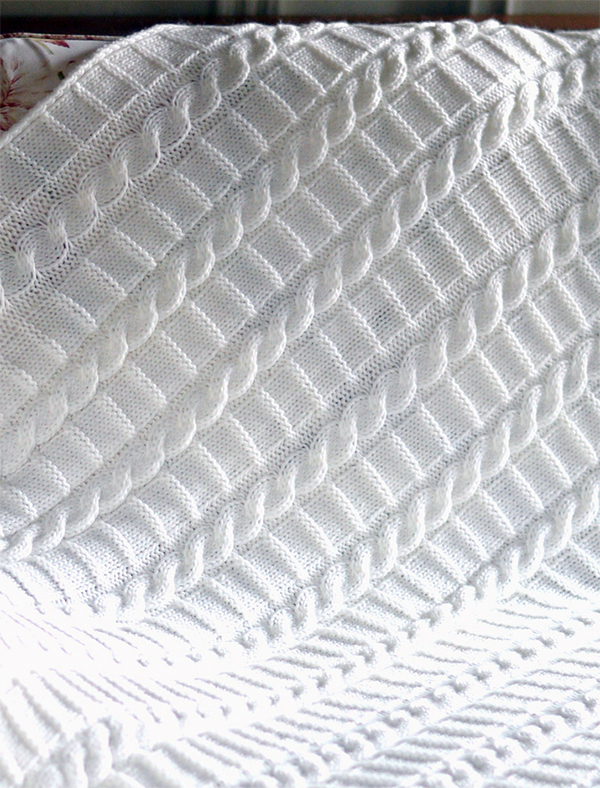 Medium - Throw/ Baby Blanket: 31” x 39” (79cms x 100cms). 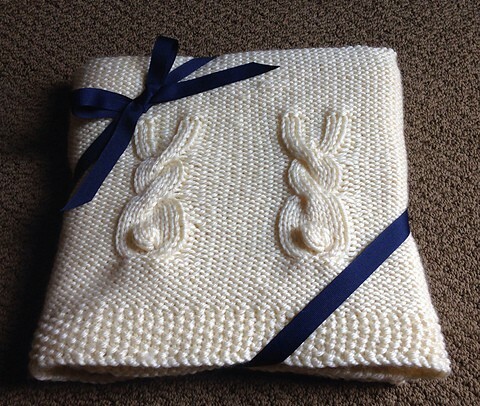 Small - Baby Blanket (perfect Baby Shower Gift): 27” x 35”(60cms x 81cms). Designed by Caroline Brooke. 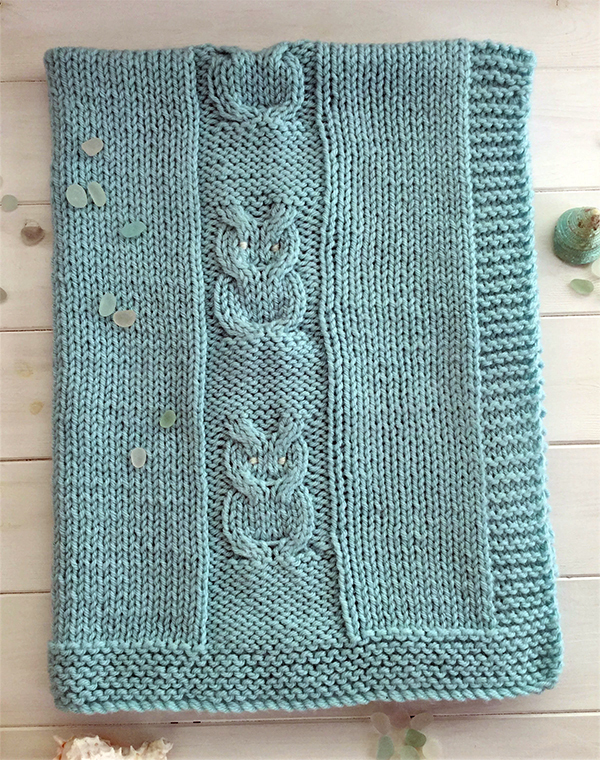 Knit with Aran weight yarn.